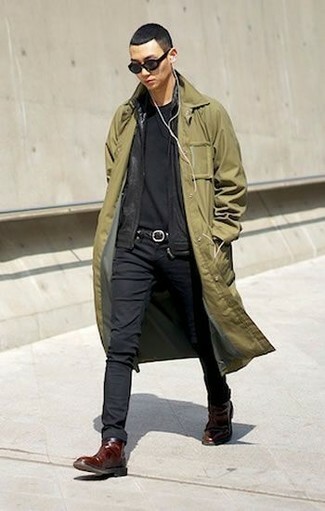 If you're searching for a casual yet sharp getup, try pairing a Paul Smith Classic Trench Coat with black skinny jeans. As well as super comfortable, these garments look great when paired together. Bump up the cool of your outfit by finishing off with black leather chelsea boots. The pairing of a Paul Smith olive trenchcoat and blue jeans makes for a really put together getup. 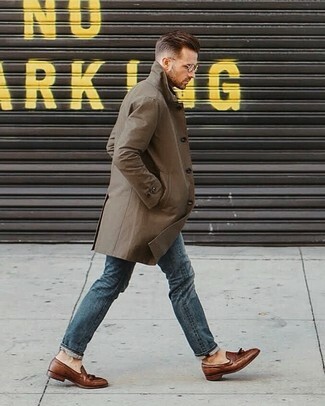 A pair of brown leather tassel loafers effortlesslly boosts the style factor of this look. For a casually elegant outfit, make an olive trenchcoat and burgundy chinos your outfit choice — these two pieces play really well together. For something more on the daring side to finish off this getup, grab a pair of dark brown leather high top sneakers. 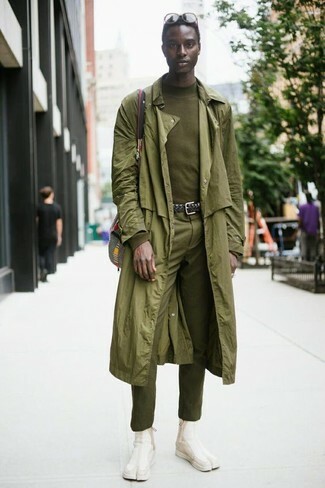 Consider teaming a Paul Smith Classic Trench Coat with dark green vertical striped dress pants for incredibly stylish attire. Break up your getup with more casual shoes, like this pair of white leather low top sneakers. 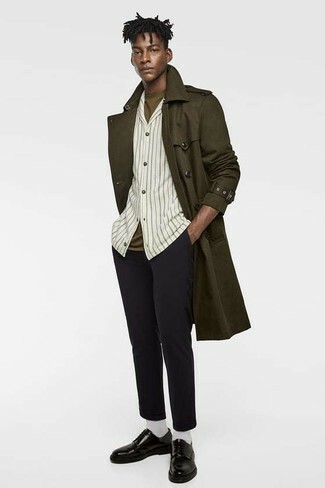 For an ensemble that's casually sleek and envy-worthy, opt for an olive trenchcoat and black wool chinos. Change up this look with a more polished kind of shoes, such as this pair of black leather derby shoes. 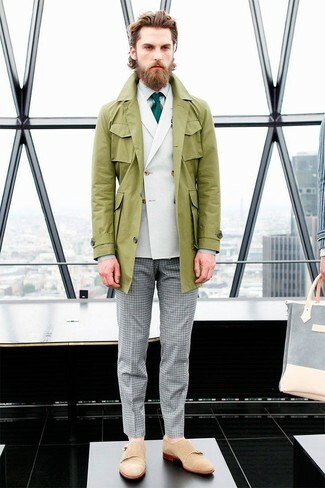 Consider teaming a Paul Smith Classic Trench Coat with grey gingham dress pants for a sharp, fashionable look. To bring out the fun side of you, finish off your ensemble with beige suede double monks. As you can see, looking dapper doesn't require that much effort. 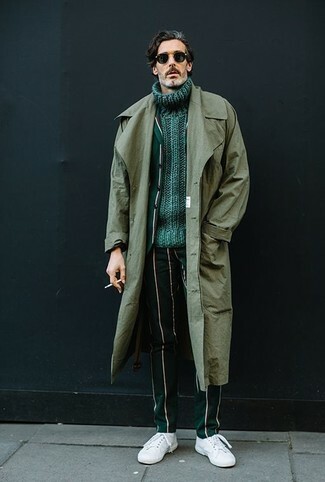 Just consider pairing a Paul Smith olive trenchcoat with beige chinos and you'll look awesome. Kick up the cool of your getup by complementing it with burgundy leather loafers. 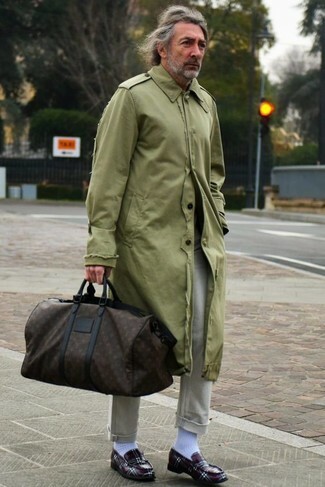 Opt for an olive trenchcoat and olive dress pants to ooze class and sophistication. For something more on the daring side to complement this getup, opt for a pair of beige suede chelsea boots. 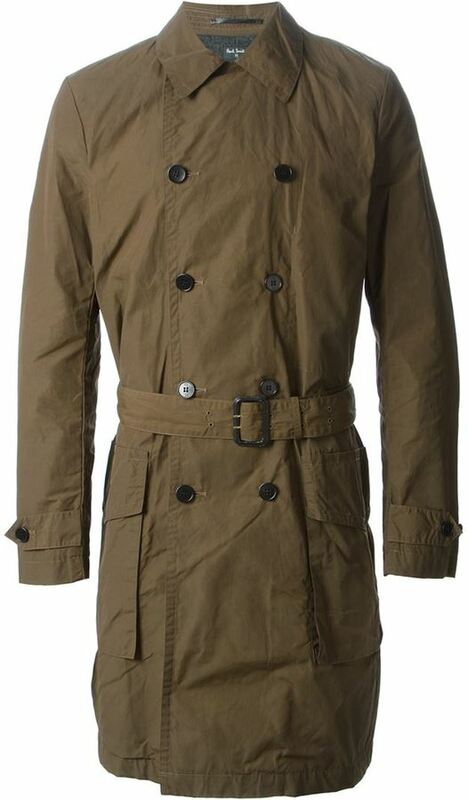 If you're scouting for a casual yet on-trend look, rock a Paul Smith Classic Trench Coat with black skinny jeans. These pieces are very comfy and they also look great when paired together. Rocking a pair of dark brown leather chelsea boots is an easy way to add some flair to your outfit.